It may be merely minutes after the official closing of the 2011 ASTC Annual Conference in Baltimore, but it’s never too early to start thinking about next year! 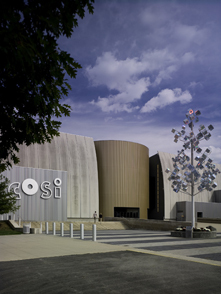 ASTC 2012 will be hosted by COSI in Columbus, Ohio, and held October 13-16, 2012. What’s in store for 2012? Check out COSI’s preview video! And to get a jump on next year, you can submit a session proposal for 2012 completely online. Check out the Call for Proposals!